Choosing the right siding material for your home is a decision that's based on many factors, from good looks to cost. But as you're weighing the options, don't ignore important considerations like durability and ease of maintenance. You want good looks that last! Choosing the cladding material for the exterior of your home involves the careful evaluation of several factors. Of course, there’s the look. Cedar shake shingles will create a different look than aluminum siding, which will look different than painted wood planks. But there are also other factors to consider. First is the durability of the material. Second is the amount of maintenance your siding will require to keep it looking fresh and tidy. Third is the cost. And finally, consider the siding’s energy efficiency and eco-friendliness, and how well it will insulate your home from both heat and cold. Two of the more popular siding choices for today’s homes are vinyl and fiber cement. To figure out which siding might be right for you, read this quick guide to each material’s characteristics and qualities. Fiber-cement siding is made from a mix of wood pulp and Portland cement that’s formed into long boards or shingles. It’s attached to your home directly with nails. Vinyl siding is made primarily from PVC, a rigid plastic material, and is securely affixed to your home’s exterior in a manner that allows it to expand and contract with changing temperatures. According to U.S. Census Bureau data, vinyl is the number-one exterior wall material—and has been for 20 years. Both fiber-cement and vinyl siding have come a long way from their origins. It’s possible to buy fiber-cement boards as half-round, staggered, or square shingles as well as in long plank boards. It can be painted or stained, which means you can make it any color you’d like, and it’s also now possible to buy prepainted fiber cement siding in a range of colors so that you can eliminate this step. 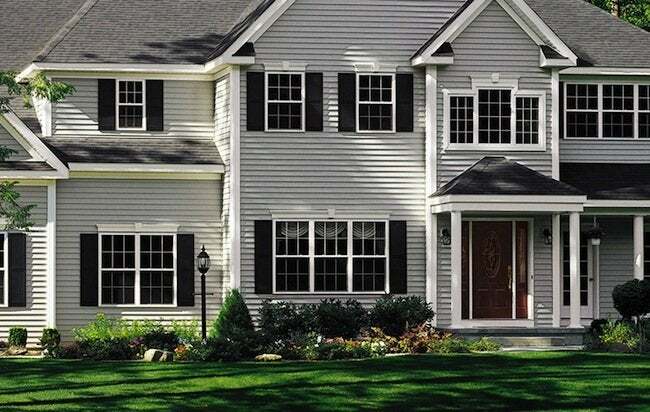 Vinyl siding offers a much greater variety of decorative options, from maintaining the appearance of an historic home to creating a clean and modern facade. 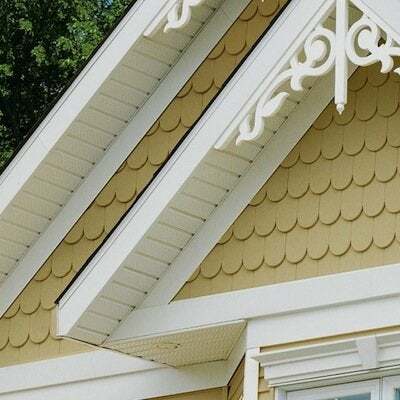 In fact, no other siding option offers such a range of styles and colors. 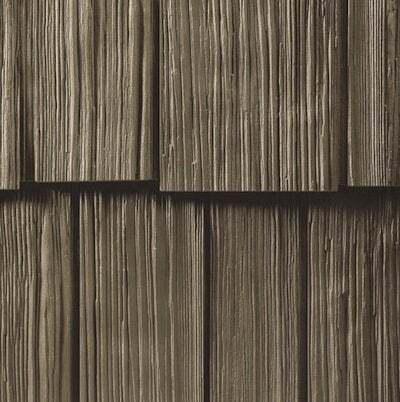 Available are not only the shingle and plank looks of fiber-cement siding, but also a variety of panel designs including clapboard, board and batten, and Dutch lap. Among the most popular vinyl siding products are those with a grain-finished surface that mimics real wood, or those that look like cedar shake shingles. Certain vinyl siding panels can even be hung vertically for a unique and eye-catching look. On their own, both vinyl and fiber-cement siding are relatively thin products that aren’t particularly good insulators, although they are both effective at keeping the elements away from your home. Where vinyl siding takes the lead is that it is available in an insulated version in which there is a layer of foam adhered between the siding and the walls of your home. This type of vinyl siding increases the insulating ability, or R-value, of the walls by blanketing the house’s studs, which are poor insulators and a source of heat loss through a process known as thermal bridging. Insulated siding also helps keep your house cool in summer by preventing the sun’s heat from toasting the walls of your house. In addition to the energy benefits you can get for your home from vinyl siding, it’s also a lightweight product. This means that it doesn’t take as much fuel to move the siding from its manufacturing facilities to your house, which ups the material’s eco-friendly factor. Compared with wood, both vinyl siding and fiber cement are very durable exterior cladding options. Vinyl siding, however, edges out its heavier cousin because fiber cement has been known to absorb water, which can cause it—and the walls of your home underneath—to rot. 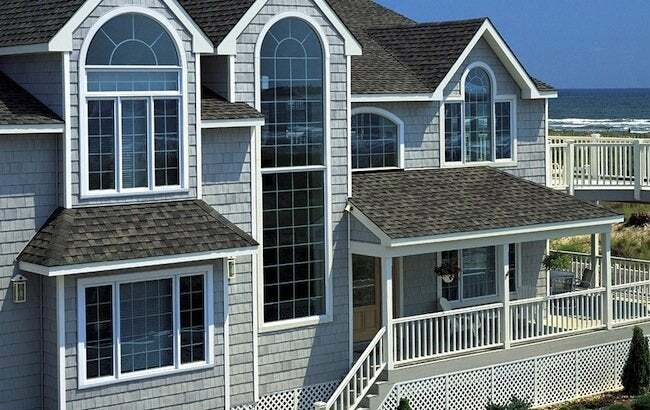 Because of vinyl siding’s flexibility, it’s also virtually impervious to chips and cracks. That’s not the case for fiber cement, which is so rigid that it can easily crack both during the installation process and after it’s hanging on your home. Vinyl siding, including insulated siding, is the only exterior cladding with a product certification program administered by an independent, accredited quality-control agency that ensures products and colors meet or exceed the industry standard for performance. Here’s where vinyl siding pulls way ahead of fiber cement. When fiber cement is installed, it needs to be caulked and painted (unless you opt for the prepainted version), unlike vinyl siding, which needs no additional work before or after installation. Over the long haul, you’ll need to paint fiber-cement siding periodically because it will fade due to the demands of Mother Nature. Likewise, you’ll need to ensure that the caulking in the joints maintains its integrity to avoid water intrusion. Vinyl siding, on the other hand, needs little more than a periodic spray cleaning with your garden hose and some soapy water to retain its vibrant look. According to the RSMeans 2014 Residential Cost Data report, the installed cost of vinyl siding is, on average, $201 per 100 square feet, while fiber cement totals $300 for the same area. In addition to saving on the initial cost of purchasing and installing vinyl siding, you’ll also save money over the lifetime of owning your home as it needs no painting or recaulking, unlike fiber cement. Plus, if you choose to use insulated vinyl siding, you’ll save additional money on your heating and cooling costs. Finally, according to Remodeling magazine’s 2013–14 Cost vs. Value Report, vinyl siding and insulated siding will recoup more than 78 percent of their installed cost when it comes time to sell your house—a house whose siding will likely look just as good when you sell as the day you put it up! This post has been brought to you by the Vinyl Siding Institute. Its facts and opinions are those of BobVila.com.